The development of higher density solid-state memory has had a fundamental impact on the way engineers approach system design. Mass storage has followed a capacity curve unrivalled by any other technology and while Solid State Drives (SSD) may not yet match their HDD counterparts in terms of price per bit, they can compete and win when measured in terms of performance, particularly for applications that require random access. In an industrial application, sequential streaming of multimedia data is likely to be less important than good random write and read rates. SSDs are also inherently more rugged than HDDs, so in an industrial environment where performance is more important than capacity, solid-state is a clear winner. Capacity is an interesting area when considering SSDs for industrial applications, because memory manufacturers have (understandably) decided that conformity is best. That applies to not only the density but also the shape and size; an SSD should be standard and, for no better reason than convention, should be HDD-shaped. The embedded Multi Media Card (eMMC) is the exception to that rule, but even here the trend is towards ‘standard’ sizes and capacities. But each has its weaknesses, so what happens if you need something better? This is where Disk-on-Board (DoB) can be applied. As the name may suggest, DoB takes the approach of placing NAND Flash devices directly onto the PCB, instead of integrating a standard disk drive or module. This presents many benefits in terms of the performance, shape, size, configuration and cost of the final solution. The design flexibility that DoB offers is second to none, for a number of reasons. Firstly, DoB doesn’t conform to a physical form-factor, the storage devices can be positioned anywhere on the PCB. This means the system designer is free to use any spare area on the PCB, or constrain the storage devices to a specific space or shape. Secondly, the flexibility extends to the electrical parameters, which is important because even if space isn’t an issue then perhaps system power is. With DoB, the designer can work within a power budget by selecting the Flash devices that deliver the optimal density for the available power. Thirdly, with DoB, performance, like density, is entirely configurable; by using the right NAND Flash controller the system designer is free to use any type of memory technology and practically any type of interface. This means a DoB can be dimensioned to any density , feature a ATA memory IO, CompactFlash, SATA, SD, eMMC or even USB interface and be comprised of single-level cell, triple-level cell, multi-level cell or even 3D-NAND devices that are manufactured on any process node and supplied by any vendor. The key to this level of design flexibility is the NAND Flash controller and its firmware or Flash Translation Layer (FTL). A fundamental part of developing a storage solution is choosing the right FTL approach. For DoB and eMMC this will be a feature of the NAND Flash controller and its firmware, while for raw NAND it will most likely be implemented purely in software as part of the operating or file system. In the case of raw NAND, getting the best performance from the FTL can introduce an additional design burden. As the FTL is the technology responsible for key functionality such as wear leveling, as well as dictating how the application software will access specific areas of the memory, the more robust and flexible the FTL the easier it is to realize a DoB that perfectly matches the application’s requirements. In an industrial application the Write Amplification Factor (WAF) could also be crucial, particularly when running mission-critical or real-time applications. The WAF is a good indication of how much strain the NAND Flash is under during normal operation. For a DoB the WAF can be less than 10, while for some eMMC and raw NAND solutions it could easily be as high as 200 if FTL and use case are not tuned to one-another. Another important parameter for industrial applications is the I/O Operations per Second, or IOPS. For sustained 4k random write a DoB can be configured to exceed standard eMMC and raw NAND solutions by far. 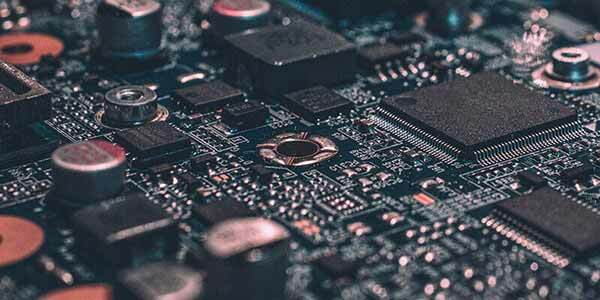 A further significant benefit of taking a DoB approach rather than using eMMC or raw NAND is the control it provides over the Bill of Materials (BoM). By specifying each individual device, a system designer can more closely control the entire BoM and thereby ensure continuity of supply. Disk-on-Board is emerging as a robust and flexible solution to providing mass storage in industrial applications. It offers significant benefits over eMMC and raw NAND approaches and is fully enabled by Hyperstone’s NAND Flash controllers and its unique hyMap firmware. DoB is just one application for Hyperstone’s technology, which is directly supported and offers a simpler route to qualification and certification.